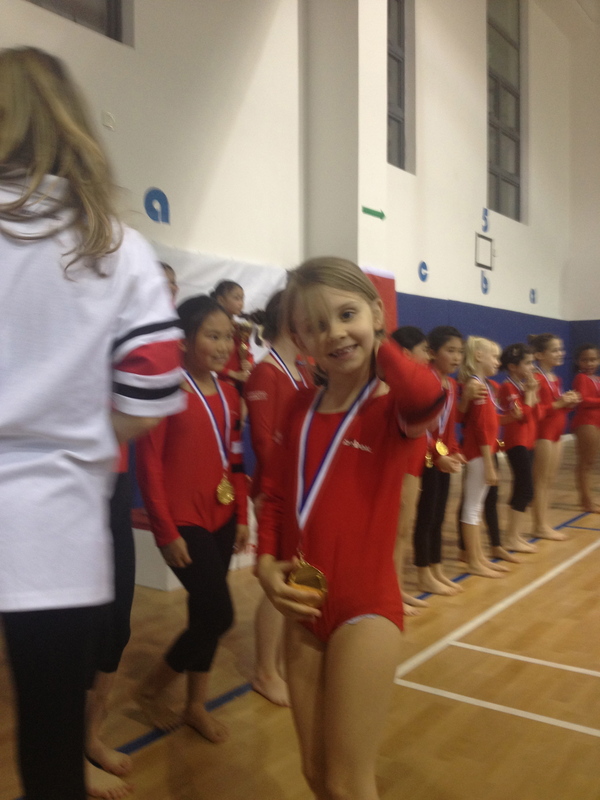 Last Sunday, Isabelle competed in her first gymnastics competition. She has only been doing it since January so this was a big deal. She was in the second round of 7-8 year olds and so we had to be at school by 11.00 for the start of this. Each group had 3 rounds of competition: the floor, the beam and the vault (horse). Isabelle’s first routine was on the beam and she did a great job. Apparently all the girls decided what they wanted to do so they were showcasing their best skills. Then she moved onto the Vault. She got to have 2 attempts at this. This was her least favorite and her confidence was much lower on this one. Her final round was on the floor. She has been practicing hand stands for hours every day so I was very proud when she did an excellent one in her routine! All the medals and cups! It was a very professionally arranged event. 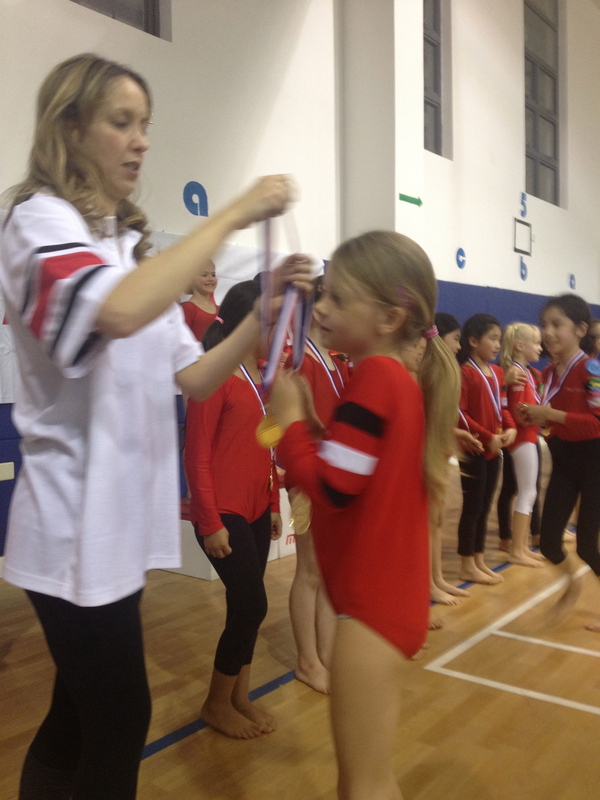 Isabelle attends Gymnastic classes every Monday after school as an ECA (Extra Curricular Activity). The competition was against girls from all over Shanghai in her age group. There were girls of all ages competing all day. 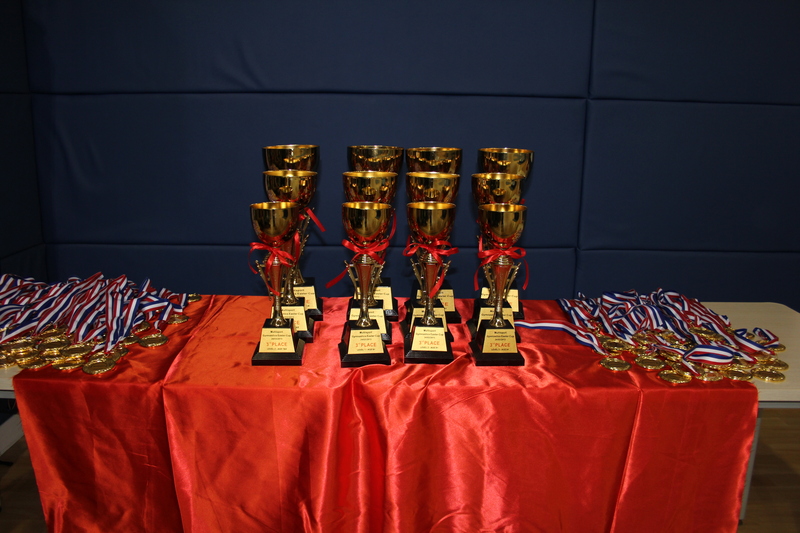 The cups were for 1st, 2nd and 3rd place. Coach giving a pep talk! After the victory parade around the gym. All the competitors received a medal for competing. The organisers made a big deal out of stating that gymnastics is a solo sport and it takes courage to perform. They were impressed with all the competitors who tried their very best. I was delighted that Isabelle wanted to take part, as it was optional, and I was thrilled that she had the confidence to get out there and “just do it”! This entry was posted in Uncategorized and tagged BISS, Competition, Gymnastics, Kids. Bookmark the permalink.